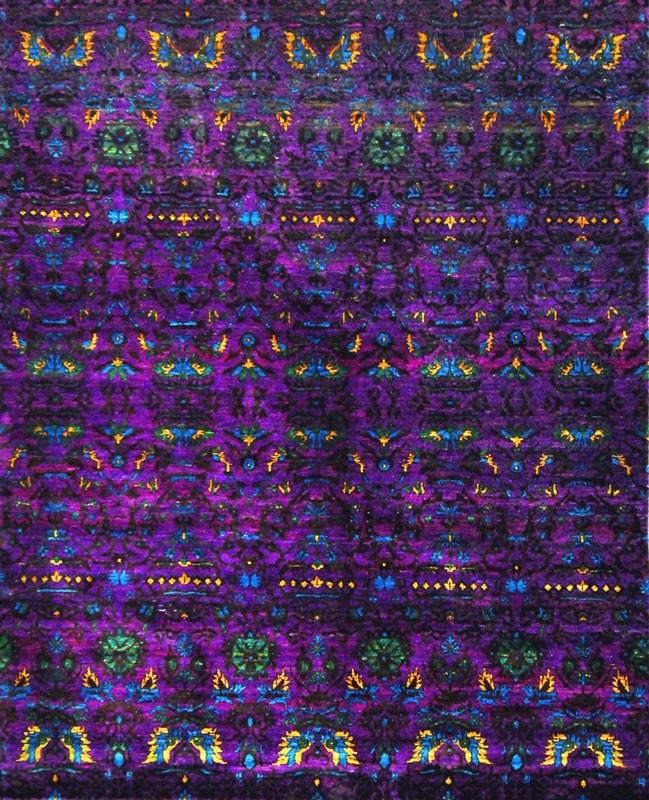 Exquisitely hand knotted using 100% iridescent Sari Silk in India, the M-13E design from Cyrus Artisan Rugs' Amaluk Collection is luxurious and magnificent. This premium carpet showcases a regal, jewel-colored purple palette and soft pile finish with average thickness. The masterful craftsmanship and gorgeous hues of this transitional piece add grandeur to the classically-inspired motif of oriental carpets. This beautiful rug is a stunning, artistic piece for the contemporary home, as it blends vivid, breathtaking palettes with a classic patterns for an original design.